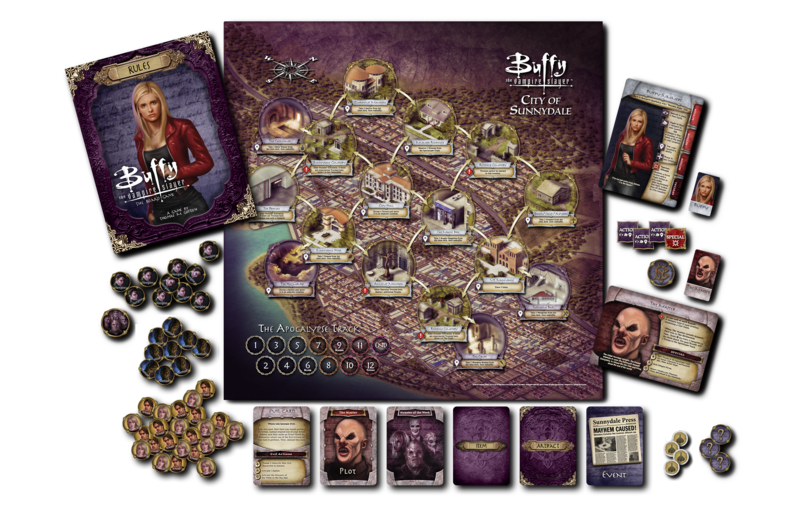 Los Angeles, CA (March 1, 2017) – The genre-busting cult classic from Joss Whedon, Buffy the Vampire Slayer turns 20 years old on March 10, 2017! 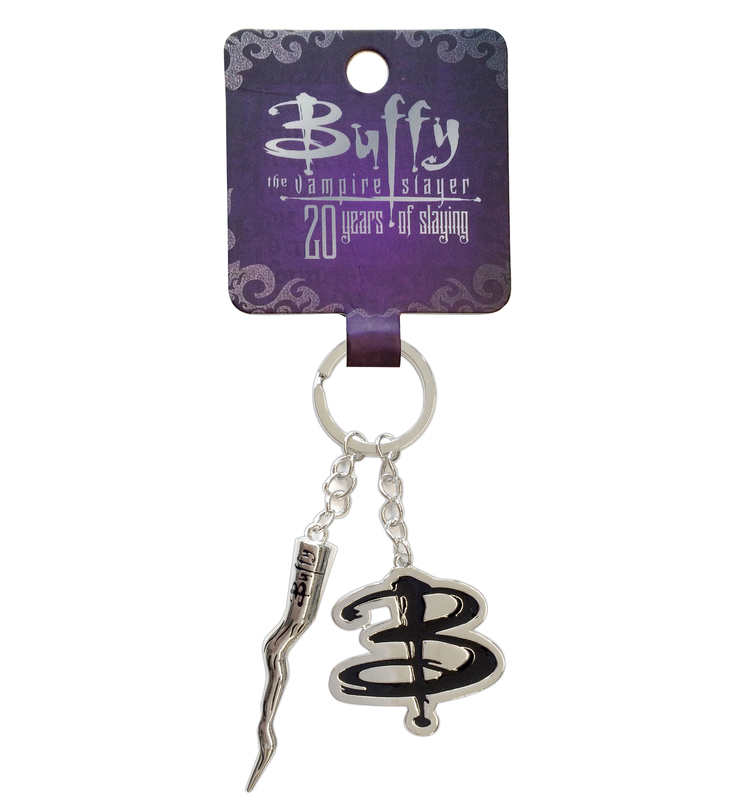 To celebrate Buffy Summers, the Scoobies and all the monsters that go bump in the night, 20th Century Fox Consumer Products announces exciting product launches – from board games to new books to fashion accessories to apparel — and multiple fan-focused activities including a “Sunnydale High Yearbook Contest” offering a trip to 2017 San Diego Comic Con. Plus, on the anniversary, fans can tune-in to relive the two-part premiere episode on Pop (to find your channel go to (Poptv.com) on March 10th at 9 AM ET/PT. Releasing throughout the anniversary year, Fox Consumer Products reveals a wide-range of licensing partners. Highlights below and selection of downloadable images here. 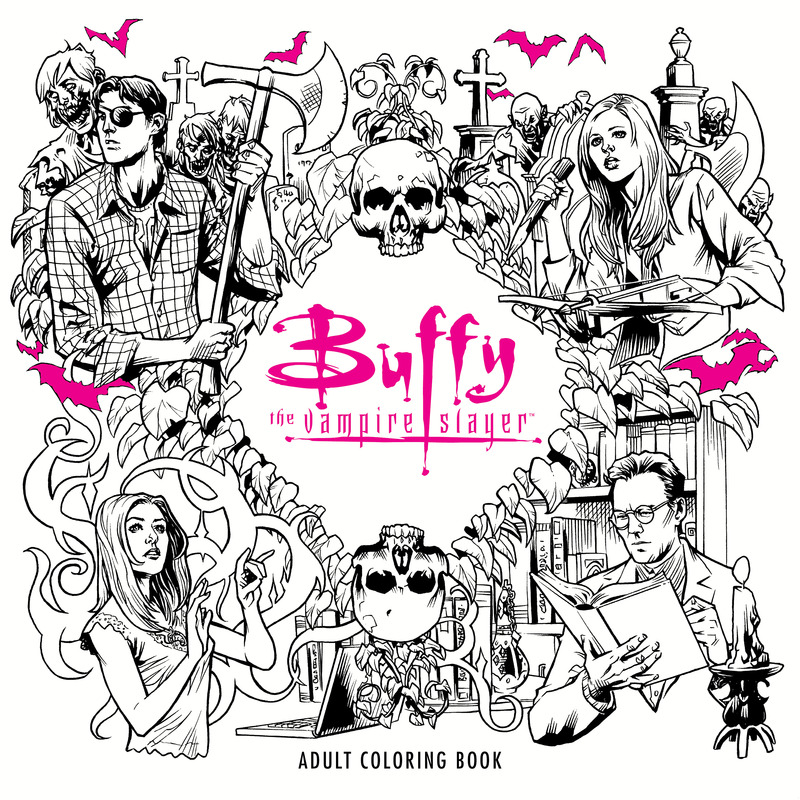 o Buffy the Vampire Slayer Adult Coloring Book (Dark Horse/Available Now) – your favorite characters and moments from the Buffy television series are all represented in this engrossing adult coloring book. 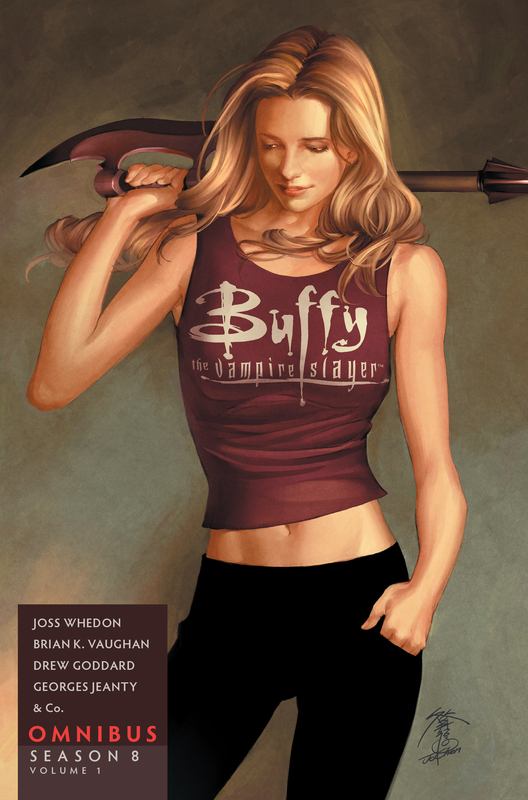 Buffy the Vampire Slayer Encyclopedia: The Ultimate Guide to the Buffyverse (Harper Design/September 2017) is a lavishly produced and written book by Buffy experts and is the authoritative source for fans, allowing them to indulge in the intricacies and nuances of the series as never before. 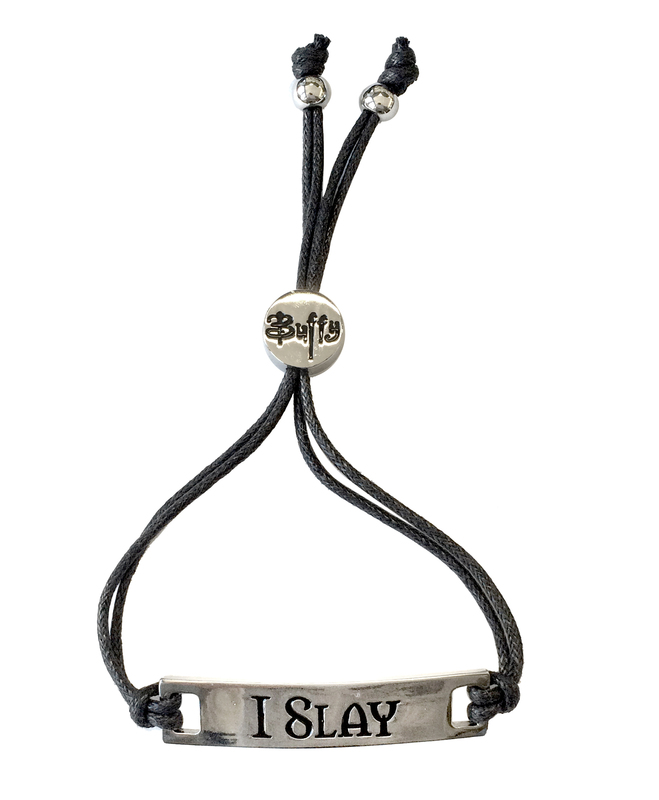 This authorized companion is a must-have for all Buffy enthusiasts as this full-color A-to-Z encyclopedia catalogs, explains, and cross-reference every detail of the Buffyverse, from characters, locations, and weapons to episodes, demons, and recurring gags. 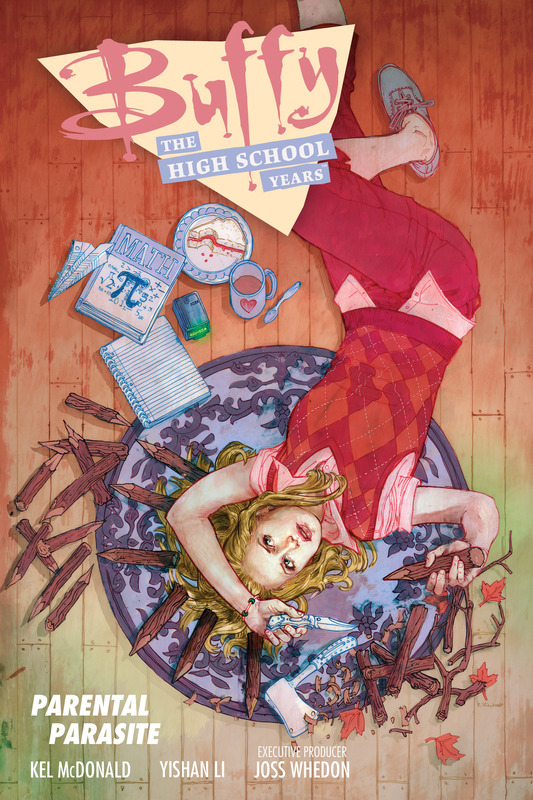 Buffy the Vampire Slayer: The Official Grimoire (Insight Editions/October 2017) is the first and only truly comprehensive collection of every magical moment from all seven seasons of Buffy the Vampire Slayer, humorously narrated by beloved resident witch Willow Rosenberg. Completely illustrated and annotated by the rest of the gang, this book of spells is a unique keepsake for fans of the Buffy-verse and an incredible celebration of the show’s 20-year legacy. Buffy the Vampire Slayer: The Definitive Visual Handbook (Insight Editions/October 2017) is a one-of-a-kind infographic guide to all things Buffy, blending striking illustrations with a bounty of facts and stats that shed light on just about every aspect of the show. Full of fun insights and surprising details about the lore, characters, quips, and most legendary episodes, battles, and villains, this refreshing take on the Buffy-verse will delight fans old and new. Buffy the Vampire Slayer: Vampire Stationery Set (Insight Editions/August 2017) includes a 192-page blank pocket journal, 20 blank notecards featuring iconic Buffy quotes, envelopes, and 20 Hellmouth sticker seals. 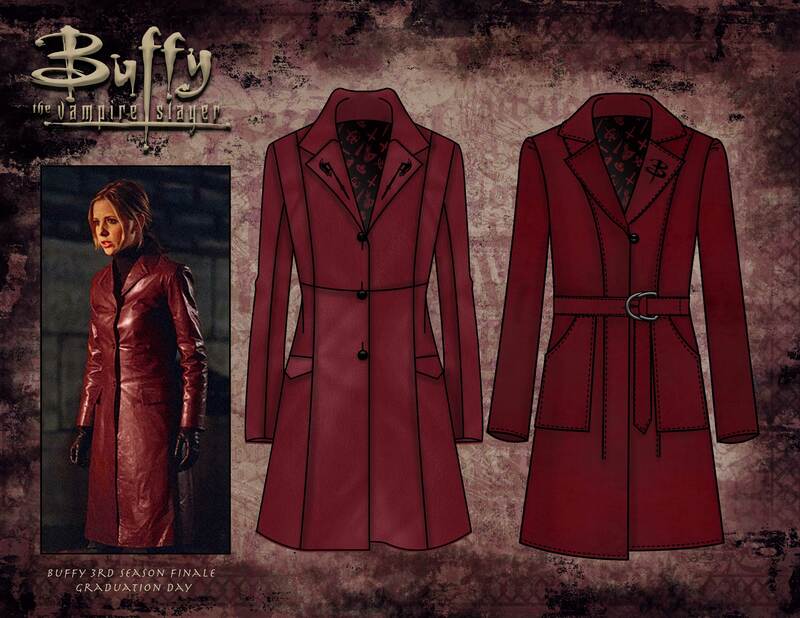 Enclosed in a keepsake box designed to look like it came from Giles’ library, this special stationery set allows fans to share the world of Buffy the Vampire Slayer with their fellow Scoobies. Buffy the Vampire Slayer: Vampire Hardcover Ruled Journal (Insight Editions/August 2017) includes a section of text adapted from the original Slayer Handbook before giving way to blank ruled pages. Atmospheric, engrossing, and designed with a dynamic in-universe aesthetic, this blank ruled journal invites readers to add their own story to the legacy of the Slayer. Buffy the Vampire Slayer: Sunnydale High Hardcover Ruled Journal (Insight Editions/August 2017) is a finely crafted writing journal that includes a ribbon bookmark, elastic closure, inside back pocket for storage, and beautiful leatherette cover featuring the iconic emblem of Sunnydale High. PREVIOUS POST Previous post: Saturday Morning Cereal Episode 54: That One Guy Phil LaMarr & Creator Genndy Tartakovsky Talk Samurai Jack is Back! NEXT POST Next post: This Deal is Getting BETTER All the Time! Billy Dee Williams & More Join the Celebration Orlando!